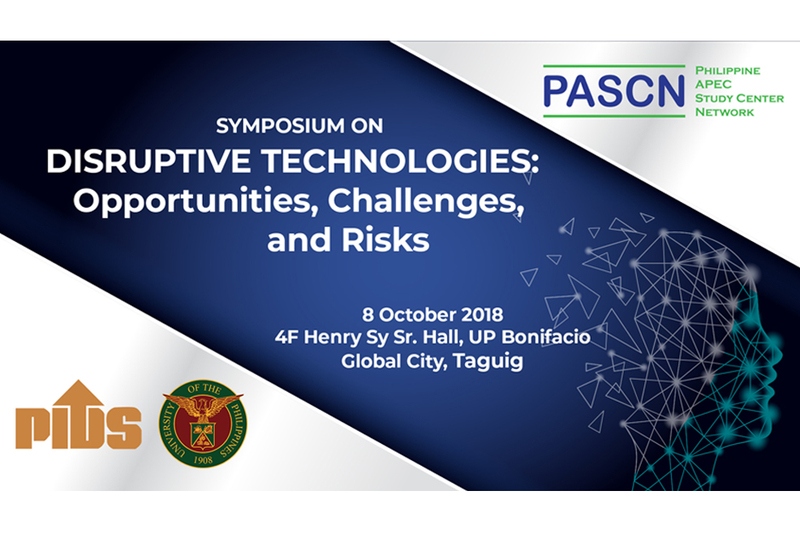 The Philippine Institute for Development Studies (PIDS), lead convenor of the Philippine APEC Study Center Network (PASCN), in partnership with the University of the Philippines, will hold a symposium with the theme Disruptive Technologies: Opportunities, Challenges and Risks". It will be held on October 8, 2018 (8:30 am to 12:00 pm) at the 4F Henry Sy Sr. Hall, UP Bonifacio Global City, Taguig. 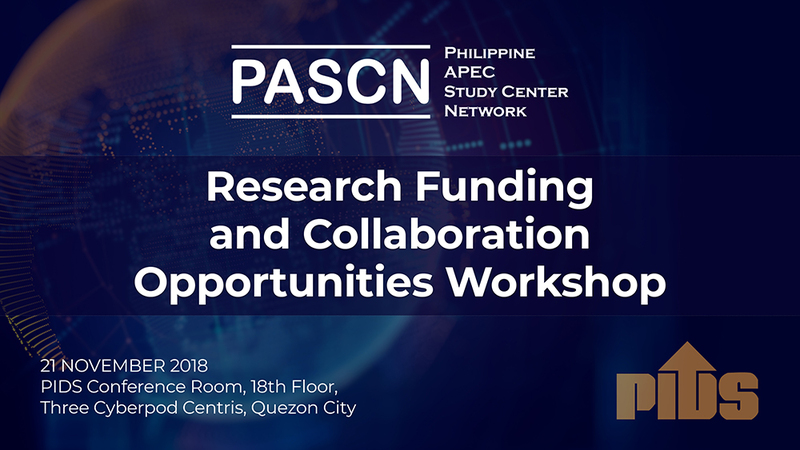 The symposium is organized in line with PASCN's information dissemination program which aims to provide an opportunity for researchers to present and disseminate the results and key findings of their studies to various stakeholders. It also serves as a forum to discuss important regional integration issues as these impact the Philippine economy. In particular, this year’s theme is aligned with Papua New Guinea’s APEC 2018 theme on ‘Harnessing Inclusive Opportunities, Embracing the Digital Future’ and dovetailed with the recently concluded Development Policy Research Month's theme on ‘Harnessing The Fourth Industrial Revolution: Creating Our Future Today’. The Symposium will be followed by the general assembly or the business meeting among members of the PASCN in the afternoon. The GA aims to update the PASCN members of the network’s accomplishments and to provide the members the avenue to share their respective research endeavors concerning APEC agenda and regional integration issues. (Due to limited seating, this event is by invitation only). 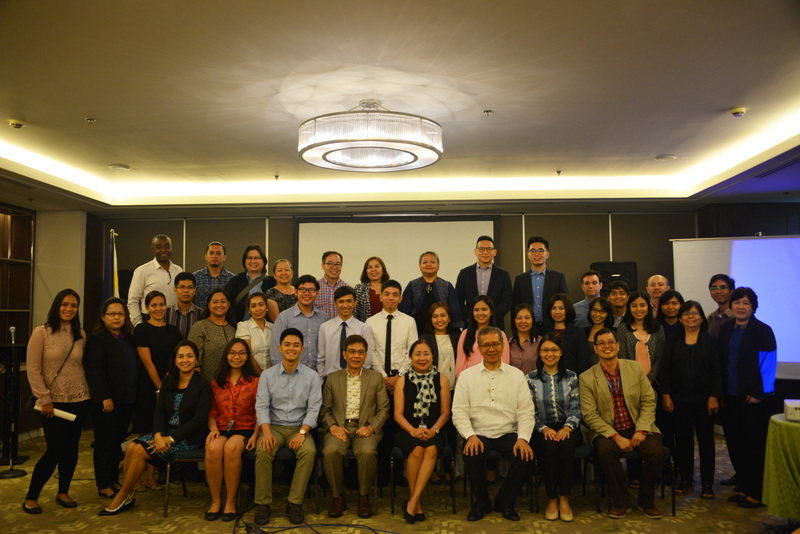 The Philippine APEC Study Center Network (PASCN) member institutions from all over the country convene on Tuesday (July 25) to present and disseminate results and key findings of their studies to various stakeholders in its Annual Symposium. 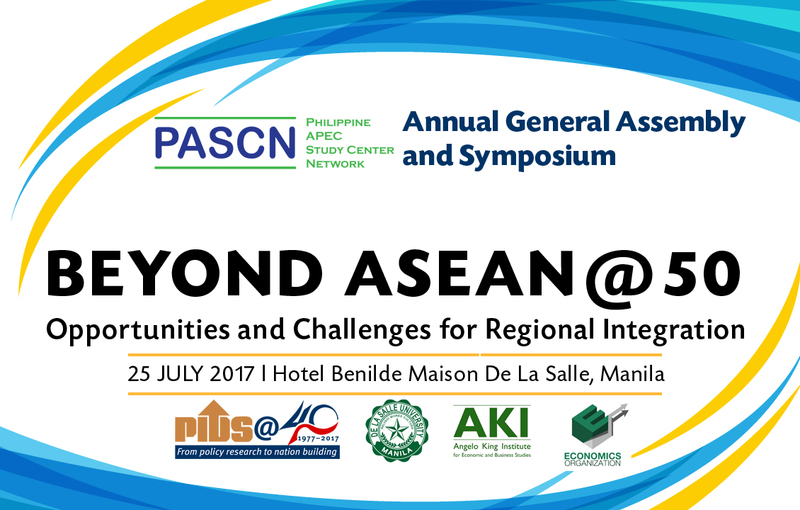 Dubbed as “Beyond ASEAN@50: Opportunities and Challenges for Regional Integration”, the symposium is organized by the Philippine Institute for Development Studies (PIDS) as lead convenor of the PASCN, in partnership with the De La Salle University-Angelo King Institute for Economic and Business Studies (DLSU-AKI). The forum is one of PASCN’s information dissemination activities to discuss important issues and concerns on Asia Pacific Economic Cooperation (APEC) and related issues, regional integration and globalization as it impacts on the Philippine economy. This year’s theme is in support and PASCN’s contribution to the Philippines’ chairmanship of the ASEAN 2017 and in celebration of ASEAN’s golden anniversary as a regional organization. The other major activity of the forum is the general assembly and the business meeting of network members that aims to update them of PASCN’s accomplishments and provide them an opportunity to share their respective research endeavors concerning APEC agenda and other regional integration issues. The integration of the Association of Southeast Asian Nations (ASEAN) should be able to address not only economic growth but also poverty and income inequality, said Philippine Institute for Development Studies (PIDS) President Gilberto Llanto. Speaking at a forum recently organized by the Philippine APEC Study Center Network, together with PIDS and the De La Salle University (DLSU) – Angelo King Institute, Llanto explained that while globalization and the opening of markets proved to be beneficial, policymakers have to “bear in mind that these should work for the people, especially for the so-called ‘left behind’". Llanto noted that to feel the positive effects of the economic integration in the ASEAN, the Philippines needs to address a number of challenges, especially in ensuring that majority of Filipinos benefit from it. A study presented by DLSU research assistant Justin Eloriaga emphasized the need to look at the digital divide in the region to address the income inequality among ASEAN countries.